That duplicity was on display in February 2003 when Colin Powell gave false testimony to the U.N. Security Council that helped launch the U.S.-led invasion of a Muslim nation. 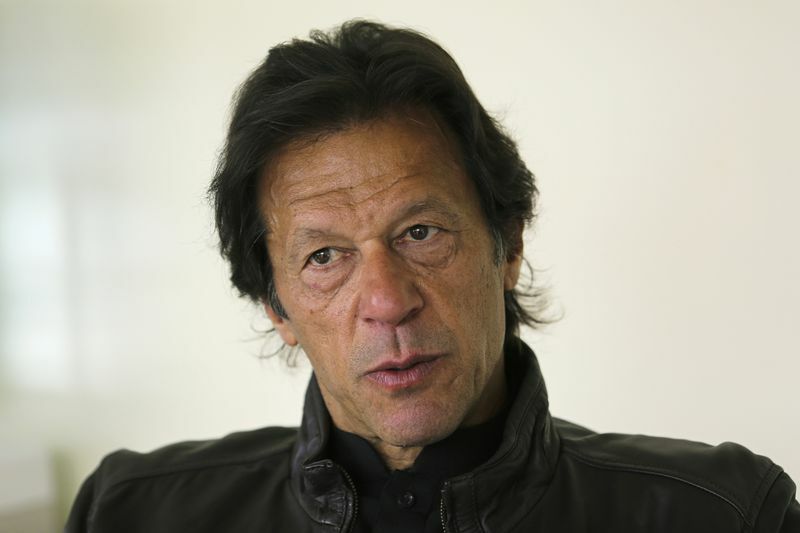 Similar duplicity was deployed in May 2005 when Pakistani cricket icon Imran Khan launched from Islamabad a false story that provoked outrage at the U.S. in Muslim nations worldwide. Since the “bread and circus” era of the Roman Empire, pop culture has proven a potent means to distract and misdirect. With the modern reach of mass media, pop culture can be deployed not just to manipulate the public’s mental state but also to promote for political office high-profile personalities such as astronauts, newscasters, war heroes and even well known comedians. Those who induced the U.S. to wage war in Iraq on false pretenses used Secretary of State Colin Powell for that purpose when he was dispatched to the U.N. to vouch for phony intelligence. 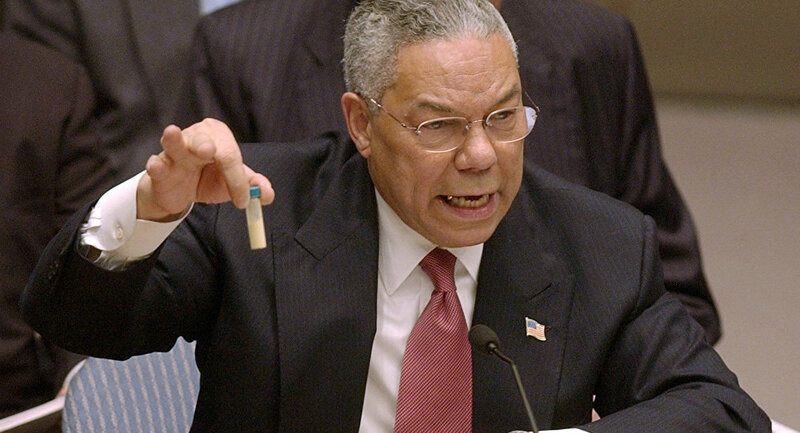 The Powell “brand” as a credible four-star general was appropriated by pro-Israeli war-planners to market the false impression that Iraq had mobile biological weapons laboratories. 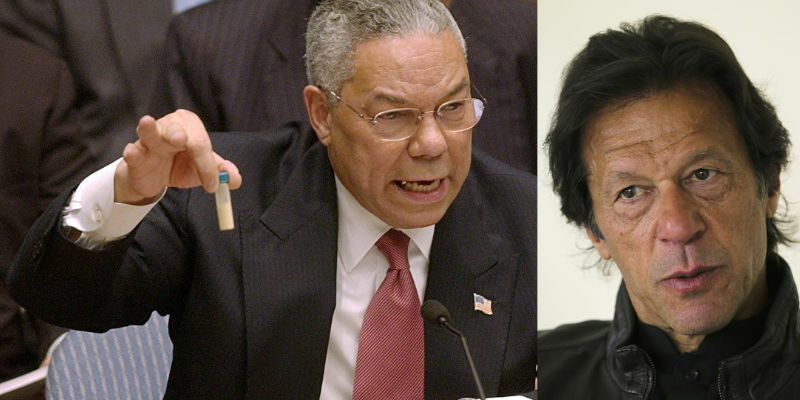 By deploying a public official’s known integrity to obscure their duplicity, those complicit in this deceit discredited both Powell and the U.S. while also undermining the credibility of the U.N.
A similar power-of-association ploy emerged two years later when the pop culture celebrity of Imran Khan was appropriated to provoke violence worldwide that damaged the image of the U.S. A global crisis commenced soon after those handling public relations for this legend of the cricket world summoned reporters to a May 6, 2005 press conference in Islamabad. As an international sports figure, Khan’s star power and his position as a Pakistani politician directed media attention to an April 30th issue of Newsweek where U.S. journalist Michael Isikoff reported that U.S. interrogators had flushed a Koran down a toilet in an attempt to exert pressure on Muslim combatants in custody at Guantanamo Bay, Cuba. Not until May 16th did Newsweek editors publish a partial retraction along with an apology in The New York Times conceding that the widely reported story was inadequately supported by the facts. By then, Isikoff’s tale of Koran desecration had gone viral. The story provoked massive anti-U.S. demonstrations in Pakistan, Lebanon, Egypt, Indonesia, Palestine, Jordan, Bangladesh, Sudan and Malaysia. Though the Guantanamo inmate retracted his statement, by then the story had done lasting damage to U.S. interests throughout the Islamic world while adding plausibility to the thematic Clash of Civilizations. As a pro-Israel-dominated media spread this provocation worldwide, the “probabilistic” outcome induced protests in Central Asia, unrest in Uzbekistan and calls for an “Islamic revolution” in Pakistan where violent protests left 16 dead. Why would a world-renowned Pakistani cricket star be used to publicize in Islamabad an unsubstantiated story from a U.S. magazine? Answer: Khan’s pop culture status ensured that an identifiable demographic group (cricket fans) would quickly learn about—and react to—a provocation featured in a leading U.S. newsweekly. That media-induced provocation proved its potency as the story stoked extremism. For Tel Aviv’s game theory war-planners, the anticipated response became a potent weapon in the arsenal of the agent provocateur. Cricket has long been a mainstay in nations historically under British colonial rule. When the desecration story was promoted in Islamabad, the editors of Newsweek, a Washington Post publication, discredited not only the U.S. but also the U.K. by provoking outrage among Muslims worldwide. A bombing in London two months later was motivated by this “desecration” according to a cousin of one of the attackers on July 7, 2005 (7/7 is their 9/11). By associating the story with a sports icon, Newsweek breached the literacy barrier common to less developed nations (54% in Pakistan). As the story spread by word-of-mouth, this provocation reached tens of millions among the illiterate as well as sports fans of a younger age for whom extreme reactions come more readily. By launching the provocation from Pakistan, the response also weakened President Pervez Musharaff, a key U.S. ally with the Taliban active in Pakistan’s western provinces and Al Qaeda suspected of seeking refuge there. Isikoff’s tale also served as a potent recruiting tool for Islamic fundamentalists. At a critical juncture, this (foreseeable) effect further endangered coalition troops and pre-staged today’s plausible narrative of Pakistan as a source of jihadists. Formerly a Musharaff supporter and anti-corruption crusader, Khan had become an outspoken critic of U.S. forces in Afghanistan and Iraq. By appropriating the Khan brand, Newsweek assured the global reach of this provocation as a pop culture star’s celebrity gained traction for a story guaranteed to prove troublesome for the U.S.-Pakistan alliance. The timing of this provocation also addressed a key strategic need for Israel. The initial response to the April 30th article was muted. The May 6th press conference overlapped a critical May 4th news cycle when U.S. Defense Department analyst Lawrence Franklin appeared in a U.S. District Court outside Washington where he was charged with leaking to the Israel lobby classified Pentagon materials on Iran. The pop culture-catalyzed protests and riots diverted the public’s attention away from wartime espionage by a purported ally. Instead, mainstream media marketed a tale certain to outrage Muslims abroad while downplaying facts certain to anger Americans at home. The Washington Post media group has been under pro-Israeli control since June 1933 when patriarch Eugene Meyer acquired the flagship newspaper in a bankruptcy auction. The Newsweek provocation also diverted attention from the fact that Franklin worked for senior pro-Israeli war-planners: Deputy Secretary of Defense Paul Wolfowitz and Under Secretary Douglas Feith who oversaw the Office of Special Plans, a key source of the “fixed” intelligence that induced the U.S.-led invasion of Iraq reliant on just the sort of false intelligence that Secretary Powell was induced to present as a rationale for that disastrous war. Whether appropriating Colin Powell’s integrity or Imran Khan’s celebrity, such “associative” weaponry works the same: the power of association is deployed by those adept at manipulating thought and emotion to influence behavior and shape policy in plain sight. Such operations are commonplace for those skilled at waging war by way of deception—the motto of the Israeli Mossad, the intelligence and foreign operations arm of the Jewish state. From a geopolitical perspective, the appropriation of these “brands” mirrors how Israel appropriated and discredited Brand America. Over the six-decade history of this entangled alliance, our association with this enclave of nuclear-armed Jewish elites and ethno-nationalist extremists cost us the global goodwill that an earlier generation earned at untold cost in blood and treasure. 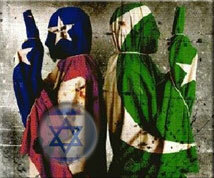 The U.S. continues this perilous relationship at great risk. Any nation that views this enclave as a legitimate sovereign state only further enables this trans-generational treachery.